It’s always fun to go out for dinner, right? We sure think so, but often can be a bit pricey. We also like to consider our budget, because we are still Dutch! 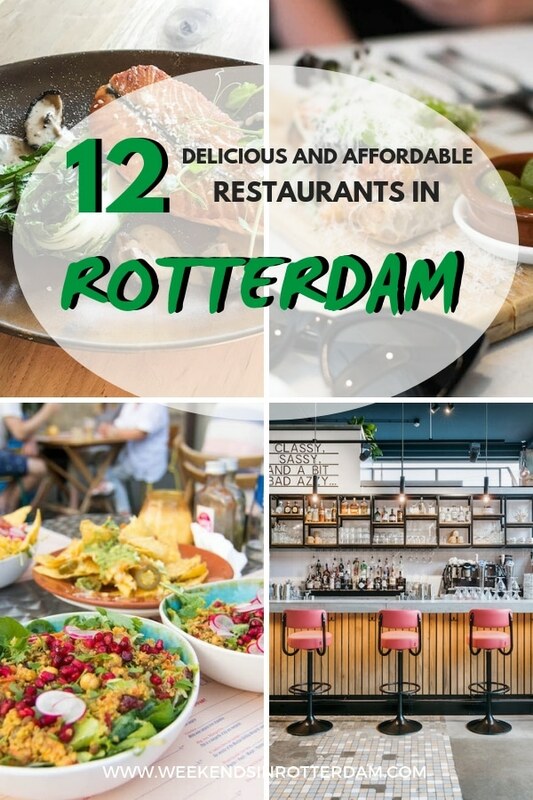 Therefore, in this post we share 12 restaurants in Rotterdam where you can eat well and where the price is affordable. Eet smakelijk! Which is Dutch for enjoy your meal ;). 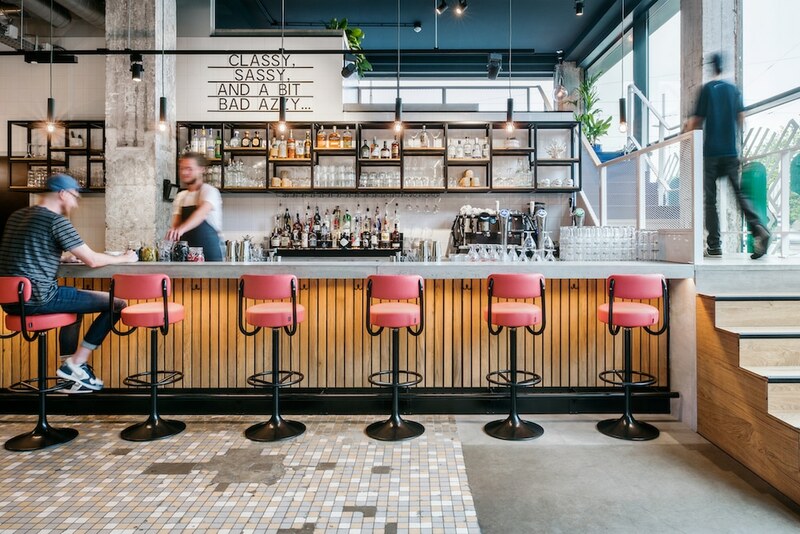 Who knew that you could eat out at Nieuw Rotterdams Café? You can go here for drinks, bar bites, lunch and dinner. We were here recently on a press dinner and were certainly positively surprised about it. There was a good atmosphere, the food (and drinks) was really delicious and the service was good. When our eyes fell on the prices on the menu, we were also happy to see that it’s certainly not expensive. For example, for € 11.50 you already have a delicious falafel burger. The location on the Witte de Withstraat is also ideal of course! For about € 10-15 per person you can enjoy Vietnamese food at Deli Tasty. Order a delicious noodle soup with dumplings for just € 6.90. The restaurant has a nice interior that really reminds us of Vietnam. Restaurant The Commons brings a diverse mix of people, food and drinks together. We were present at the official opening of this restaurant and also took a peek on their menu. 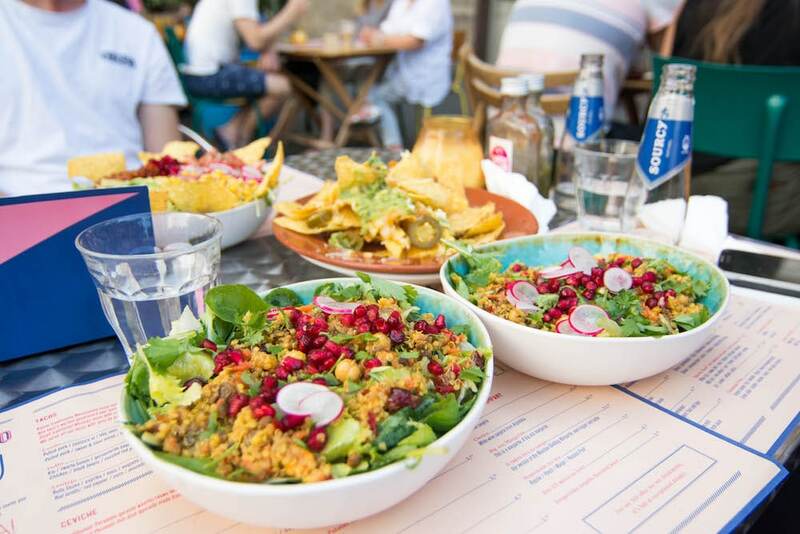 At this restaurant there is something for everyone, from snack cravings, burgers and pizza, to fresh juices and superfood salads. And most importantly, for very affordable prices! Tip: between 16:00 and 19:00 it’s happy hour and you can order delicious cocktails for only € 5. 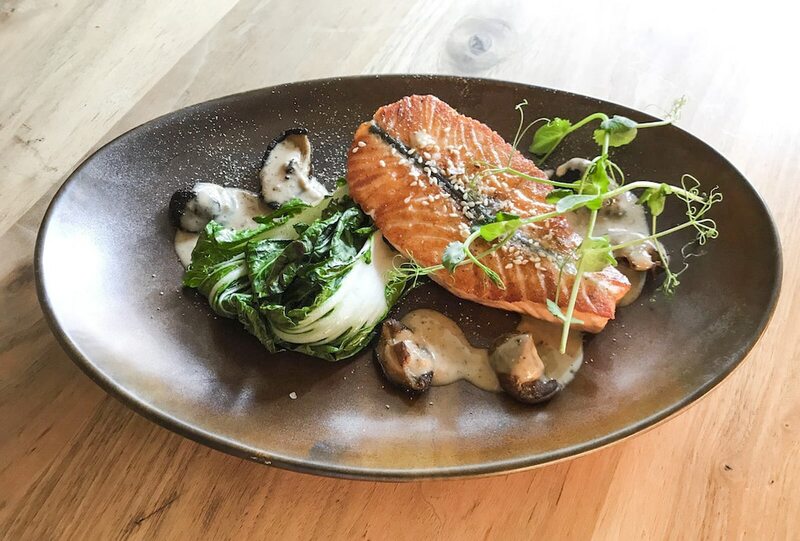 At Gusto you can go for delicious Italian food. Craving a pizza or pasta? You can order it for € 13 and € 19. Italian food is always a good idea! At De Smaak van Afrika or the Taste of Africa you can go for the authentic African cuisine and for only a small price. Most main courses are around € 15. Of course, the name says enough, but at the Pasta Kantine you can enjoy good Italian food. Think of delicious pastas, salads and various starters. It is possible to get a small or large portion of pasta and the price varies between € 9.75 and € 12.75! 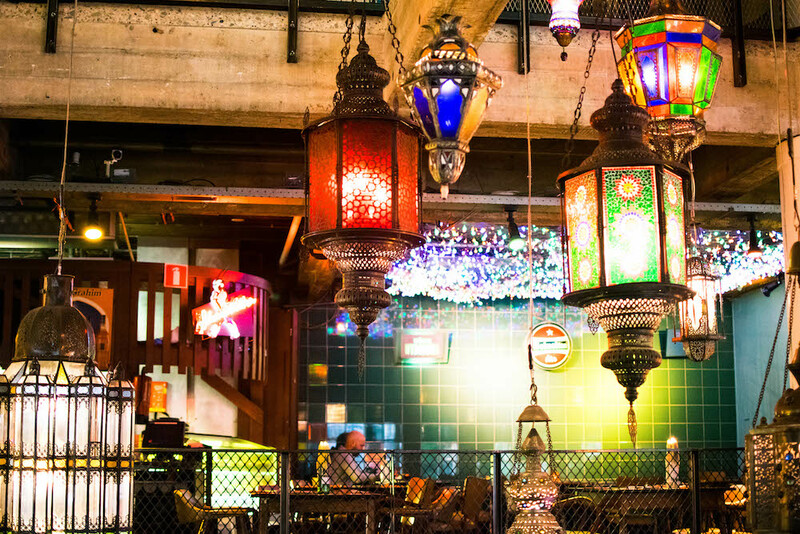 The Jamie’s Italian is located in the Markthal, very central! 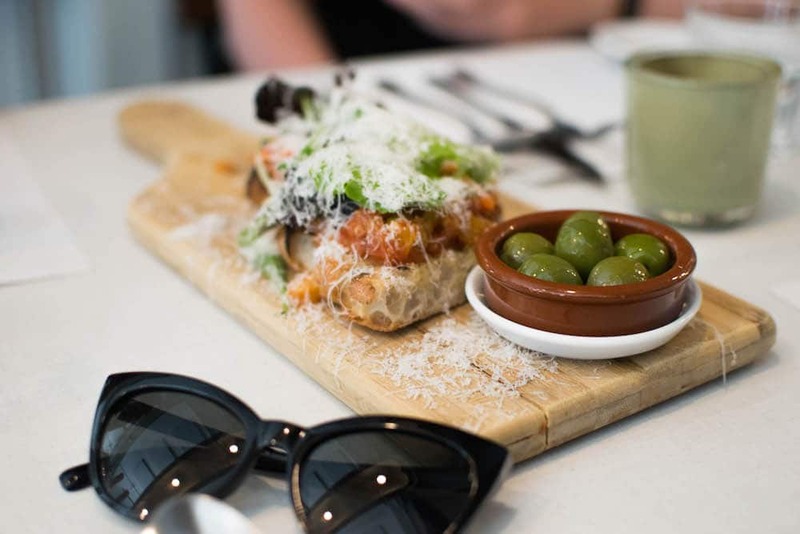 They serve tasty antipasta, past and main courses such as the Chicken Al Mattone or The Jamie’s Italian Burger. Also, did you know that in December the first Jamie Oliver’s American Dinner opens in Rotterdam? Are you crazy about Japanese food? Then visit Takumi Düsseldorf for delicious Japanese ramen. It is a small but cosy restaurant and you can already get a bowl of ramen for about € 7. At Curry’s in Kralingen you can enjoy delicious Indian food for a good price / quality ratio. They also have menus with various delicious food! At Supermercado they don’t only serve delicious cocktails, but also delicious and affordable food! They have great tacos, salads, meat from the grill and much more. A must is the Ensalada Supermercado with quinoa, pomegranate, raisin, chickpeas and mango chile dressing for the price of € 5 (small) or € 10 (large). Are you already hungry? At Soif in Delfshaven you sit right at the water. Especially in the summer it’s nice to sit at a terrace. It’s a cafe where they serve delicious soups, salads, cheese fondue, risotto and much more. They also have delicious desserts such as the cheesecake, apple pie and nut cake from Koekela. The prices for the main courses are around € 15, really not expensive for what you get! Bazar at the Witte de Withstraat is a well-known in Rotterdam and is an excellent choice if you have to keep a tight budget. Starters start around € 5 and a main course around € 9. Most dishes come from the Middle East and North Africa. At Bazar you can eat well and affordable in Rotterdam, but you can also decide to eat a delicious and affordable breakfast here. That were 12 restaurants in Rotterdam where you can eat delicious and affordable! Do you have a good tip too? We would love to hear it in the comments below.